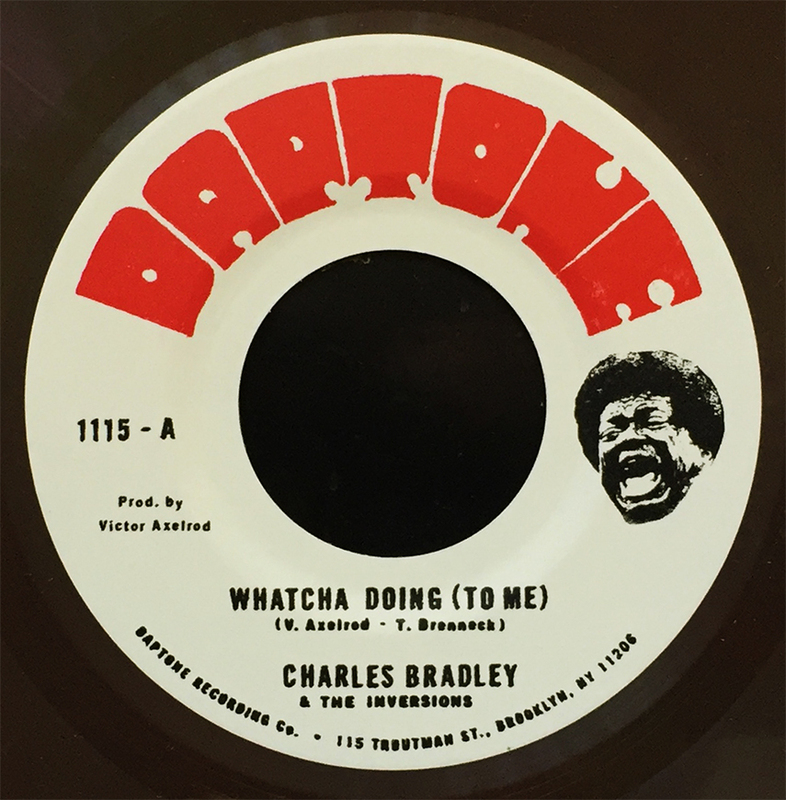 Daptone Records released this two-track 7″ on random colored vinyl last month. It features Mr. Charles Bradley & The Inversions performing Whatcha Doing (To Me), b/w just The Inversions performing Strike Three. Some yahoo is selling this 7″ on Discogs for $74.99, and it was just released some 12 days ago. Some people… am I right?! Regardless, RIP Charles Bradley.